Use the text typing tool in main drawing toolbar on the left to place text on whiteboard in Electa Live. To insert text, click on the text typing tool and start typing text where ever you want on the whiteboard. 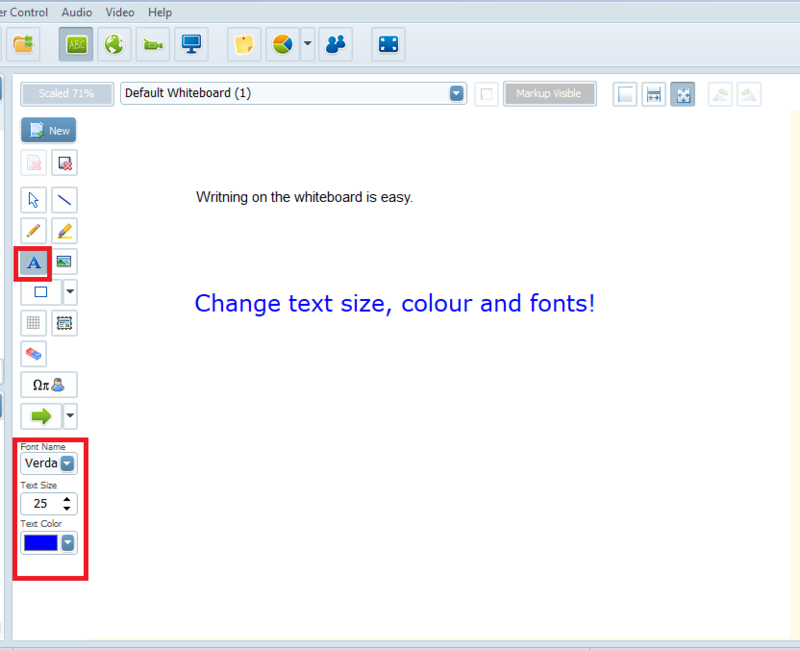 While writing you can adjust text font, size and colour from the bottom whiteboard option toolbar. To move or adjust the text font, size and colour in the already typed text, click on the “Selection tool” located on the main drawing toolbar or right-click on the text and select Edit text object from the option menu. Click and drag the object to move it over the whiteboard surface. Use your keyboard arrows to move the object over the whiteboard surface. To move the object pixel by pixel hold down the Ctrl key of your keyboard while moving the object. 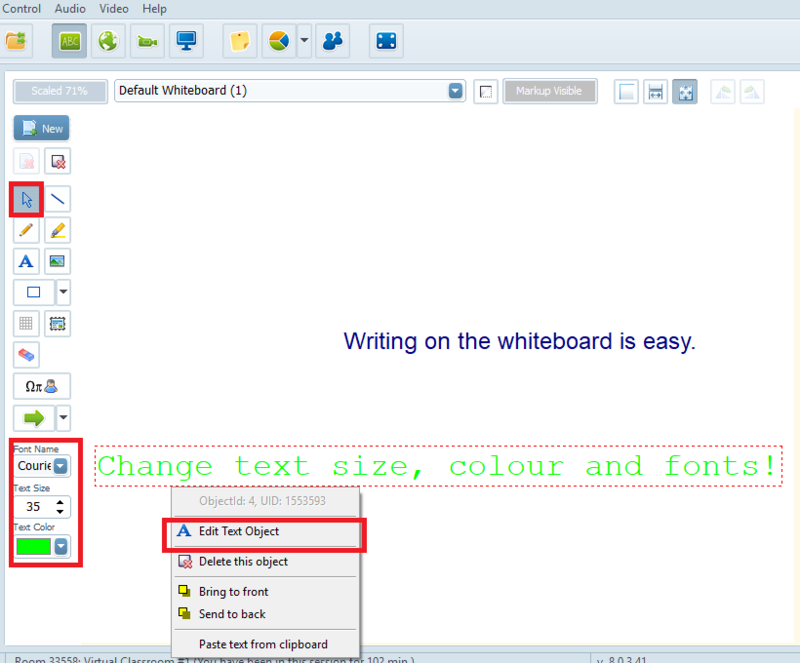 You can also easily change/adjust text font, size and colour from the bottom whiteboard option toolbar. 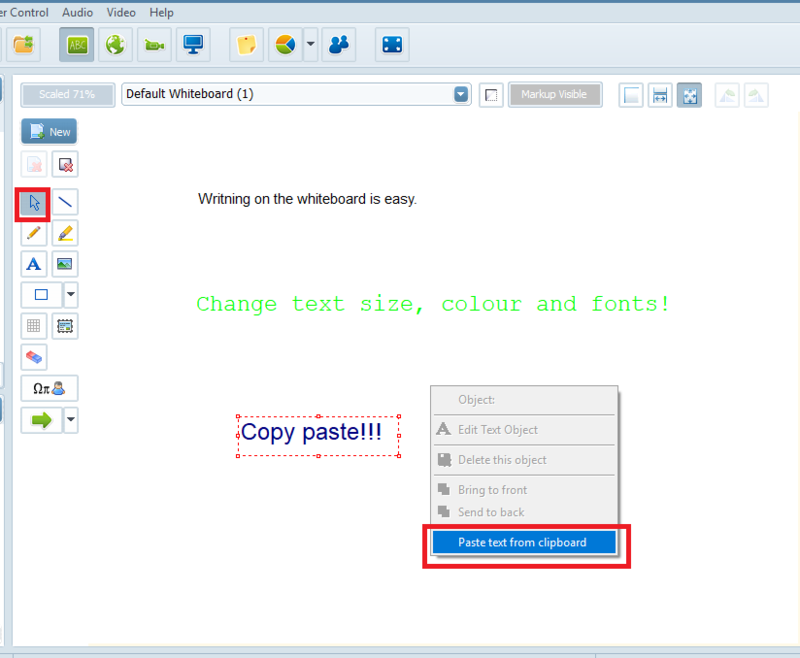 To paste the desired text onto whiteboard from the clipboard right click on the whiteboard and select “Paste text from clipboard” or alternatively paste the text using “Ctrl + v” key combination. The pasted text font, size and colour can be adjusted from the bottom whiteboard option toolbar. To delete an text from the whiteboard, click on the “Selection tool” from the main drawing toolbar. Right-click on the text and select “Delete this object” from the option menu or click on the Del key of your keyboard. You can also use a Eraser button in the drawing toolbar to delete one or multiple texts. To delete all texts in the whiteboard at once, use a Erase and markup object button in the drawing toolbar.